Five hard working lads from Sunny Newcastle are no strangers to the Detour label. Indeed they've already seen two 7" singles and an album released here all of which have proved to be best sellers. Their individual Hammond driven sound has been given a more 90s feel for these recordings but the ability to write great foot tapping, lyrical master peices is, as always, embedded within the grooves of this album. Featuring a different version of Radio Tones on each format, this album is a must for everyone whether your preference is 60s Mod or 90s Brit Pop. 12 tracks of pure brilliance, on Detour. If Paul Weller and Joe Strummer had formed a band together, chances are it would have sounded like the Blocked. The debut album of the Boss, a fanatstic Essex based Mod/Powerpop band. I think it's safe to say that if this little gem of an album had been released in 1979 it would be held up in Mod circles as a classic!! !Originally released in 1996, this is one awesome album from a great band. Combining all the elements that made the 1979 Mod Revival great - taking 'The Chords' power, adding 'Secret Affair' suss and style, throwing in a dash of 'Makin' Time's soul and topping it off with the anger and passion of Mr. Weller - these guys had everything you could wish from a Mod Combo.What a brilliant front cover that just screams MOD at you - these fine Scottish lads gave us an album to be proud of. If you missed it first time around here's your chance to make amends - GET IT NOW! You will NOT regret it! 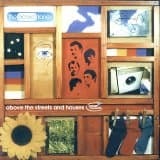 A must have "Detour Records" release that came out in 2000 but sold out very quickly... This new pressing see's 500 copies re-pressed due to popular demand!!! When the album originally came out in 2000, the press release stated.... Here it is - the one weve all been waiting for!!! 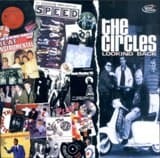 When The Circles reformed a couple of years ago to play the Mods Mayday 1999 gig - they soon found themselves being asked the same question again and again - "when are you going to put out an album of new material?". Well, they locked themselves into a studio and toiled away for a few months and at the end of it they emerged, shielding their eyes from the sunlight but holding in their hands this absolute beast of an album. 12 tracks (14 on CD) of the purest 79 Mod Revival you will EVER hear. This album features new songs and re-recordings of a few old favourites that until now were only available on the live Private World LP. One thing strikes you as soon as you hear the first few notes of this release - the band have not lost an ounce of their passion and anger over the 20 odd years since they left the scene. This album is an outstanding piece of work that combines the raw energy of the 79 Revival with a maturity that can only come from years of experience. Sure, its been a long time coming - but the band have done themselves proud - and this LP will surely go down in history as one of the all-time Mod classics - believe me its that good! The CD version comes with two extra tracks - being the Private World and All Or Nothing tracks that appeared on the groups Detour 7". 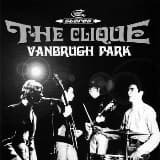 Formed in the mid 1980's The Clique soon became the biggest and best loved combo on the European 60's Mod scene. Everything about the band was right - the look, the sound, the attitude and Mods around the globe hailed them as the new Mod Messiahs. The band released a couple of early singles before really bursting onto the scene with their Reggie single on our very own Detour label. This was soon followed by the Self Preservation Society album that went on to become Detours biggest ever seller - a record still held today. Unfortunately, soon after the release of the album the band fractured, and although they carried on for a couple of years with different members, the magic just wasnt there and they split after being on the cusp of success and on the brink of signing to a large independent record company.This album gives us some of the earliest recordings of the band - they were put into a studio by Acid Jazz records when the label had some spare studio time in around 1986 / 1987 . With a helping hand from James Taylor Quartet leader James Taylor on Hammond the group went into the studio and laid down some mighty fine pure British Mod / R&B / Beat. Mixing sterling originals with covers such as Leaving Here Sookie Sookie and Youd Better Stop this album was sure to be a hit on the Mod scene.Unfortunately, and for reasons that are no longer remembered, the album never saw the light of day - it sat on the shelves at Acid Jazz gathering dust.Well, now Detour Records have grabbed those tapes, polished em off and had em remixed for your total listening pleasure - and what a pleasure it is! Just one listen of this album is enough take you back to those heady days of the late 80's / early 90's - a burgeoning UK Mod scene (later to turn into Britpop), the highly attended Untouchables rallies and good times.Not just a history lesson, and by no means a lesson in misty eyed nostalgia, this is a reelin and rockin blast of pure amphetamine fuelled excitement from the first minute to the last!! 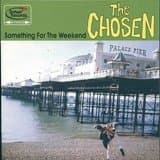 This was probably the best British Mod / R&B album to be recorded since the Whos debut - get it now!!! 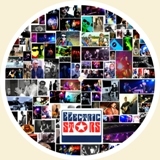 Beautiful music for beautiful people ...the electric stars are unlike any other band on the scene! They are the perfect combination of all that was wonderful from that golden age of rock n roll...67-73. They can spin & shake you like the stones, trip you out like pink floyd, tug at your heartstrings like mccartney & sparkle like bowie at his glamtastic best ! Sonic candy soul is a classic mix of all we want & need from manchester's most essential rock n roll band. Their live appearances are famous for being raw and wyld but their studio recordings are perfectly crafted and honed with the up most passion. Believe us..... This is beautiful music for beautiful people... So jump on board and enjoy the trip of a lifetime with .... The electric stars. Just for the fans due to popular demand. ...... Top selling detour release has been given the special treatment and is being pressed as a picture disc in a strictly limited edition off 250 copies only..... This pressing will most probaly be sold out before it is even back from the pressing plant!!!! So please get your pre-orders in early as it is being released in conjuction with the bands managemnt company and we are splitting the 250 copies between detour & the music mania event......Beautiful music for beautiful people ...the electric stars are unlike any other band on the scene! They are the perfect combination of all that was wonderful from that golden age of rock n roll...67-73. They can spin & shake you like the stones, trip you out like pink floyd, tug at your heartstrings like mccartney & sparkle like bowie at his glamtastic best ! Sonic candy soul is a classic mix of all we want & need from manchester's most essential rock n roll band. Their live appearances are famous for being raw and wyld but their studio recordings are perfectly crafted and honed with the up most passion. Believe us..... This is beautiful music for beautiful people... So jump on board and enjoy the trip of a lifetime with .... The electric stars. 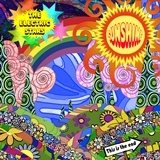 'Sunshine' bursts through the clouds like a supersonic heat ray straight from Flesh Gordon. 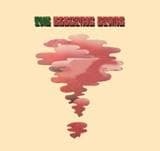 It's gonna be the soundtrack to the summer & is backed by a beautiful John Barry style ballad called 'This is the end'. Sunshine is going to be on the hotly anticipated 2nd Album from the STARS & like every single released on Detour so far, its Beautiful Music for you, the Beautiful People! Fresh from the success of the Debut Album 'Sonic Candy Soul' & Chart Hit 'Belfast Boy' the Mancunian 5 piece are back in town with a stunning new Double A Side CD. 'The Only Lover Left Alive' is a Riproaring Psych & Roll Nugget that kicks & screams from the speakers like an exorcised demon, while its partner in crime, the raw heartbreaking ballad 'Loaded With Regrets' will stop you dead on first listen. The 2 track release is a Limited Edition Pressing & shows the 'STARS' in a stripped back raw mood. Well, what can you say about The Gents that hasn't been said before? Starting off their music career as far back as 1980, they cut their teeth so to speak, in the working men's clubs of South and West Yorkshire and the North-east of England. This was a hard slog as they had to play to a mixed audience, but over those early years they made a name for themselves as they stood out from the rest of the acts on that circuit, playing original and also mighty fine and catchy songs amongst the covers required by the clubs. 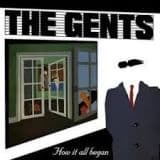 After first reuniting in 2010, the Gents then decided to embark on a schedule of committing all their hitherto vinyl only output to the digital format for the first time, in order to preserve the band's work and give their amazing, longstanding fans a legacy by which to remember then and to be proud of. 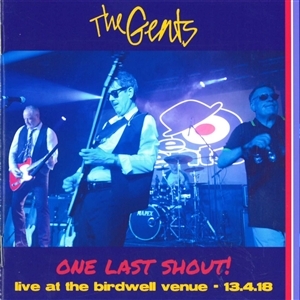 Fast forward eight years to Friday 13 April 2018 and all this culminated, after three previous CD album releases (with extensive bonus tracks, inclusion of b-sides etc) and the band came together one final time, to promote their last scheduled release, the extensive box set, the single's album The Rise and Fall of the Gents, with a one-off, last ever live show, at the Birdwell Venue in Barnsley, to a 500 sold-out (very sold out) crowd of fanatical Gents' fans, who convened to see their favourite local band one last time and this time it was better than good, because for the first time during the reunion years, the whole four man band got on the stage together for the first time since 1989 and blew the rafters off the Birdwell Venue with their expected high-octane live show. This CD, One Last Shout, is the record of that show. If you were there you NEED this CD, because although we have probably seen the last of the Gents, the Gents are dead - long live the Gents (of course, if you weren't there, you also need it...).This release will be a SPECIAL LIMITED EDITION as ONLY 200 COPIES are being pressed and once they are gone, they are gone just like the band! The artwork has been designed by long standing SUPER GENTS FAN 'SIMON CURTIS'. All photos that are featured within the artwork were taken from the gig, so you might even spot yourself within these pages! 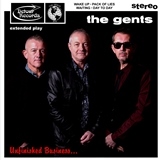 This Way to the Gents sees the Gents return with the third of a planned four CD series by Detour Records of the entire recorded output of revered Doncaster band the Gents. Following on the heels of the Detour releases of their two vinyl albums, How it all Began and Waiting to be Seen, comes the committal to the CD format for the first time of their 1981 precursor to the vinyl albums, the cassette-only sampler album which was sold in great quantities at the band's live shows between 1981 and 1989, This Way to the Gents. The CD release features the original cassette, with early versions of their best-known songs, such as Revenge, the Gent, Waiting to be Seen, Le Pinke Pantheur and the Faker along with other songs in early versions such as Girl, Have a Good Time, Stay With Me and the never again recorded They're Gonna Get You. Additionally the release includes 9 bonus tracks including the first ever Gents' recording of any kind, Bobby Darin's Dream Lover, the 3 songs recorded at Abbey Road Studios as part of the prize for winning the EMI Supergroup competition in 1981, the completion of the radio session tracks started on the previous two releases and (subject to clearance) a radio interview with John Leonard on Radio Sheffield in 1981. The orginal album artwork has been restored to its full colour original state and is additionally included in all three versions in which it was originally sold at different times during the lifetime of the cassette release. TRACKLISTING: 01. The Faker 02. Waiting (to Be Seen) 03. Revenge 04. Girl 05. Have A Good Time 06. Le Pinke Pantheur 07. Theyre Gonna Get You 08. Stay With Me 09. The Gent 10. Dream Lover 11. Ive Got To Go Away 12. The Faker (alternate Demo) 13. Schooldays (demo Version) 14. True Stories 15. Over Me 16. Stay With Me (session Version) 17. Cowbag (session Version) 18. Interview With John Leonard On Radio Sheffield 1981. Doncasters absolute and undisputed finest are once again playing and recording for your pleasure and present for your consideration these four songs on the Unfinished Business EP.Two new songs, written by songwriting partnership Martin John Burton and Steve Chambers especially for this release, in the form of Wake Up and Pack of Lies, two new absolute humdingers for this modern vinyl era and two newly recorded and reinterpreted versions of songs on the other side that come from way back when (1987 and the second Gents LP Waiting to be Seen with the up-an-at-em title track Waiting, a natural single if ever there was one and 1985 with Day to Day, which comes from the Gents debut album How it all Began).